My husband and I purchased an Amerisleep AS3 in January, 2012. Our lives have changed so much since then. We've traveled the world and have slept on every kind of bed - but the AS3 is still our favorite mattress. We've built our dream home and have ordered 3 additional Amerisleep beds - but the AS3 is still our favorite mattress. When we placed our order in early 2012, the Bed in a Box market didn't exist yet. 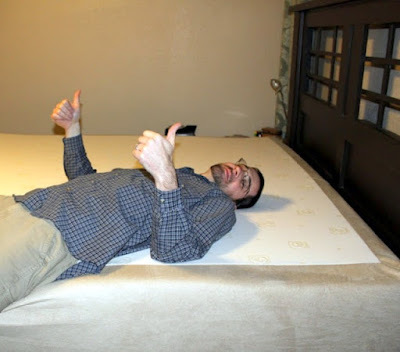 In fact, when we told people we had purchased a mail order mattress, they thought we were nuts! The success and popularity of Amerisleep paved the way for the explosion of online bed companies you see today. For this blog post, I started a list of all the different competitors...and gave up after reaching the 100th brand. It's a little ridiculous. We didn't want to waste more money on a mattress that wasn't going to last. I read every review of every mattress I could find online. Amerisleep kept coming up as the option with the most satisfied customers. However, back in late 2011, the concept of a "bed in a box" was unfamiliar. It sounded amazing to have a king-size mattress shipped directly to our door, especially with no additional delivery cost, but it also sorta sounded like a scam. They won me over little by little. One thing I liked from my initial research was that there were different models tailored to suite individual sleep needs. Amerisleep AS3: Average - good choice if you like to sleep on your side, back, or stomach. For couples with conflicting sleep preferences, there is even an option for split mattresses. My husband and I agreed on the AS3 because it seemed like the best of both worlds - not too hard and not too soft; comfortable no matter how you usually fall asleep. There were no physical Amerisleep stores where I could test one, but mattress reviews online recommended I try a Tempurpedic in-store, as the two brands are similar. I felt a little guilty about this. Our test was done at the same furniture store that had originally sold us our defective Simmons though, so it seemed fair. Now there are actual stores in Arizona where you can take a test sleep on a memory foam mattress beforehand. If you live anywhere else in the USA though, I highly recommend the Tempurpedic test to help you determine which Amerisleep is the best choice for you. It's a great way to figure out if you need something firm, soft, or in-between. Word of advice - don't look at the prices. It's easy to think that the mattress that costs more must be more comfortable. That's why it costs more, right? No! When we moved into a new home years after buying our AS3, we "upgraded" to a more expensive Amerisleep AS4 and learned this lesson the hard way. The AS4 was too soft for our sleep preferences. We sank right into it. With our bed needs expanding, we also saved some money in our new home by ordering a less expensive AS2. My husband insists he can't tell any difference between it and our AS3, but I think it's much too firm. This model also transfers motion more than the AS3. Imagine stretching out a sheet and holding it as tightly as possible, then having someone flick part of it. You would feel the motion, right? That's how the super-firm AS2 works with regard to transfer of motion between two sleepers. If you held the sheet a little looser, a change in tension would be more forgiving. As you can see, the most important factors when buying a mattress are your sleeping position and whether you prefer a bed that is firm, soft, or in-between. I emailed Amerisleep a long list of questions and concerns, based on our previous bad experience. To my astonishment, the owner of the company wrote back personally. He taught me why a high-quality memory foam is a better choice as a mattress material than the coils and springs of the competition. I initially pictured those egg-carton toppers that were popular, and not very comfortable, in the 90s. 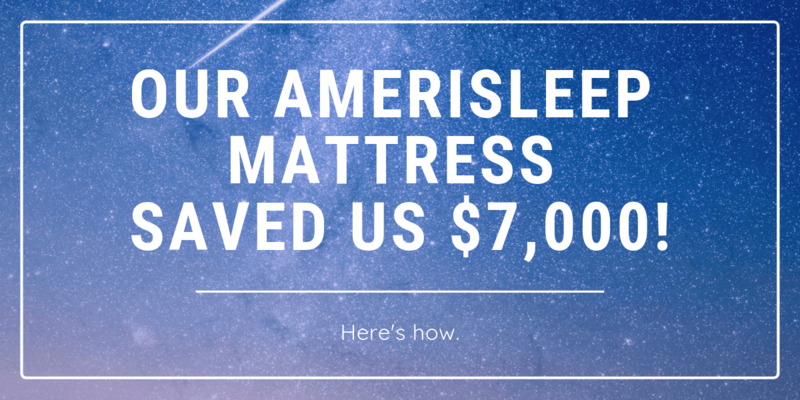 The design of the Amerisleep mattress was completely different, with layers of various high-quality materials, resulting in a bed that conforms to your body while simultaneously keeping you cool, thanks to an open cell design. He assured me that his beds do not break down over time and that if there was anything we disliked about his product whatsoever, even after sleeping on it for several years, he would refund 100% of my purchase with no questions asked. How could I say no to that? When our Amerisleep AS3 was delivered a few days after placing our order, we lugged it upstairs, placed it on our bed, and cautiously cut through multiple layers of plastic. The expansion of the memory foam was so drastic that it actually created an audible 'whoosh' - certainly the most exciting mattress delivery we'd ever experienced. I'd read reviews beforehand that insisted the eco-friendly materials used by Amerisleep eliminated the 'off-gassing' period that is problematic for most memory foam mattresses, but I hadn't really believed them. My plan was to sleep in our guest bedroom for at least the next couple of nights while the mattress aired out. The last thing I wanted was a migraine caused by inhaling plastics and toxic chemicals. To my pleasant surprise, we didn't notice a bad smell. I was able to sleep on the new mattress just a few hours later and woke up the next morning headache-free. Another plus was that I wasn't all sweaty, as I'd grown accustomed to with our pillowtop mattress. Gross, right? After our first week, I knew Amerisleep had been the right choice. My initial review of the AS3 was that is was 95% perfect...but was maybe 5% too firm for me personally. I'm a side sleeper and a stomach sleeper with chronic insomnia, so I tend to flip around a lot during the night. The responsiveness won me over. I never felt like I'd sunk into a hole or was being pulled toward my husband. It was exactly like the Tempurpedic I'd tested at the furniture store. My husband is a back sleeper and nothing wakes him up. He adored the AS3 from the moment he laid down on it - and at that point, it hadn't even finished expanding! Our previous mattress had been so hard on his back and neck that this was a life-changing purchase for him. Asked to criticize anything about it, he refused. "So, you would say it is 100% comfortable?" I asked. "It is 1,000% comfortable," he said, annoyed that I would dare to question the mattress he loves. Our first order was in January, 2012. It has now been more than 7 years since we purchased our Amerisleep AS3. We have not gone easy on it. Just look at my post How to Move a Memory Foam Mattress - we compressed it with the ratchet straps from our truck and shoved it down the stairs! Here on my site, you can also see photos and videos of us jumping on it. How Long Does an Amerisleep Mattress Last? It's recommended that most mattresses be replaced every 7 years. Part of this is due to things like dust mites devouring your bed from the inside. Yuck! So, how is ours holding up now that is has passed this milestone? Our AS3 is like-new. Honestly! I have tested it with a level and the little bubble is perfectly centered, no matter where you place it. The memory foam does not seem to be breaking down at all. It is still as firm and responsive as the day we unboxed it. It still does not retain body heat, which I assume is proof that the open cells have not broken down. Could you use an extra $7,000? That's how much it will cost you if you spend $1,000 on a mattress every 7 years for the next 49 years. No thanks. Would we buy the AS3 again? Absolutely. We've recommended it to all of our friends and family. Amerisleep mattresses are the only brand we considered for our new home. Guests always rave about the comfortable bed. The Amerisleep warranty is valid for 20 years, so I am confident that it is designed to last at least that long. At this point though, I'll be surprised if we ever need to replace this mattress. It's such a bargain, it almost makes up for overpaying for our Beautyrest. Almost. Enjoy this post? Please share it.